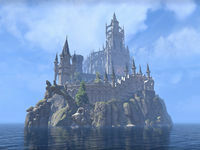 The College of Sapiarchs is an institution located on an island west of the city of Lillandril on Summerset Isle. It is home to the Sapiarchs, a sagely order considered by many to be Summerset's foremost scholars and finest magical minds. The Sapiarchs reputation is renowned, and some of the greatest mages in history can be counted among their numbers. These scholars of magical and esoteric knowledge are each devoted to a specific and singular topic of study, but also serve as instructors of the heirs to the royal throne of Summerset and possess considerable political leverage. The majority of Sapiarchs are associated with the College. 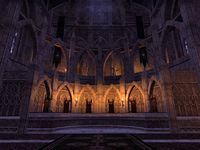 Spread throughout Summerset Isle, there are typically two-hundred-and-twenty-three fully accredited Sapiarchs at any given time, each dedicated to and responsible for a specific field of magical or esoteric scholarship. To indicate their office and field of study, each carries a title, such as Sapiarch of Arcanology or Assistant Sapiarch of Naval Excogitation. A Sapiarch holds the title for life or until he or she petitions to change their area of scholarship. Each of these Sapiarchs is assisted by one or more acolytes. These assistants strive to one day replace their master and earn a seat in the college, although that isn't the only path for aspiring sages to take. 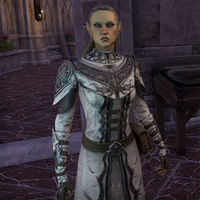 Any distinguished Altmeri scholar could receive a summons at any time and be invited to join the prestigious college. Despite their wisdom and scholarly pursuits, the Sapiarchs do not discount signs and portents. They attribute deep and significant meaning to the movements of the constellations, the positions of the moons or even the disposition of animals. While this may seem like a conflict between intellectualism and superstition, the Sapiarchs maintain that both are required in order for them to do their work. Individually, Sapiarchs of the College conduct and catalog research to expand their particular area of expertise, give lectures, consult when called upon in regards to their field of study, and write papers and books to expound upon their subject matter. Some research can be conducted at the Crystal Tower or at the College in Lillandril, but otherwise the sages travel the lands as necessary or lock themselves in their own libraries to ponder the complexities of the world's greatest mysteries. As a group, the function of the College of Sapiarchs is to advise the current rulers of Summerset and train the heirs to the throne. As the interpreters of the Scrolls of Praxis, the precedents by which the rulers of the Summerset Isles govern their domain, the Sapiarchs play a vital role in the maintenance of the Ceremoniarchy. When the time is right, heirs to the throne come to the Sapiarchs to study Altmeri Regal Praxis and Ceremoniarchy for a requisite 3,555 days prior to receiving the crown. Afterward, the College of Sapiarchs serves as a powerful resource for the new ruler, offering advice and counsel when called upon. They also issue proclamations as necessary when research and study reveal new information the public needs to know and they review such research to determine if it should be included in scholarly reference material. Keepers of the Crystal Tower are but a handful of sages that live within the Crystal Tower, tending to its needs and guarding its secrets, while others come and go as their studies dictate. The Crystal Tower itself is guarded by powerful wards, and the only method for gaining entrance requires the assistance of the Tower Sentinels. This pair of specially attuned Sapiarchs each bear an object needed to access the tower—one of two Resolute Diamonds. When properly attuned and used simultaneously by the Tower Sentinels, the azure diamonds open the path into the Crystal Tower. Only two such Sentinels are ever activated, for each must undergo a long and extensive ritual to link them to the diamonds they bear. Sentinels keep their charge for eleven years before a new pair take up guardianship of the diamonds. The physical compound where the esteemed mages study also goes by the name of the College of Sapiarchs. The walled institute fills the small island that lies directly west of Lillandril. By order of the crown, the general public cannot access the compound without obtaining the permission of the portal master who controls the magical egress that leads from Lillandril proper to the small island. It is said that this is to protect the sages and maintain the solitude they need to think deep thoughts and study obscure lore. The main level of the compound features a grand library, study halls, and suites for the most senior members of the College. Dormitories and study cells are available for the use of the assistant Sapiarchs. One of the true wonder of the College of Sapiarchs is the massive maze of chambers and corridors beneath the main compound. This area, known as the Sapiarchs' Labyrinth, serves a number of functions, but its most celebrated use revolves around the matriculation of the royal heirs of Alinor. It is within this vast Labyrinth that the royal heirs study the aforementioned Altmeri Regal Praxis and Ceremoniarchy before being crowned. This page was last modified on 14 December 2018, at 17:13.